This is a whimsical original production cel set-up featuring the milkweed ballet sequence from the Walt Disney Studios feature film, Fantasia (1940). 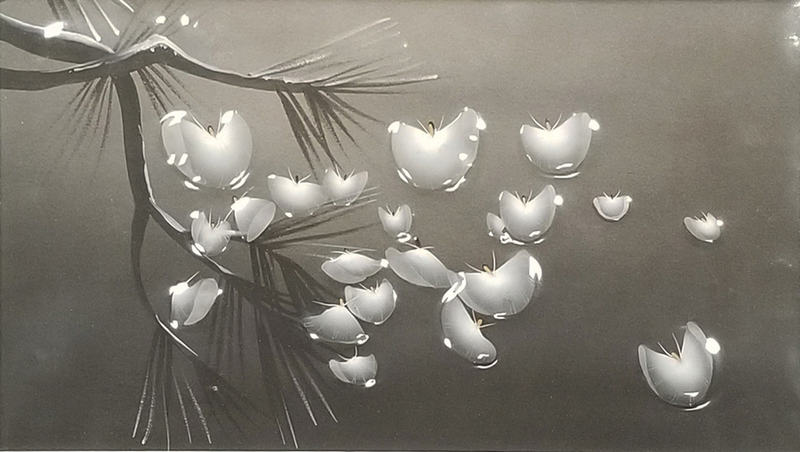 The cel features the delicate scene from the Waltz of the Flowers sequence and the cel was created at the studio and used in the production of the film. This cel was originally prepared for sale by the Courvoisier Galleries and the cel was paired with a custom painted background. 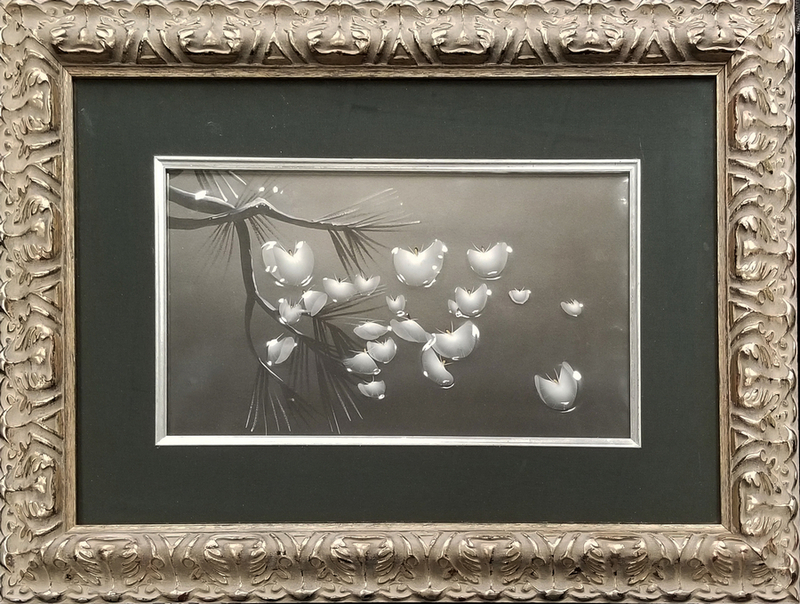 The piece measures 21.5" x 28.5" framed with the mat opening measuring 9.5" x 16.5" and the image area of the milkweeds measures about 6" x 12" and is in fantastic condition.